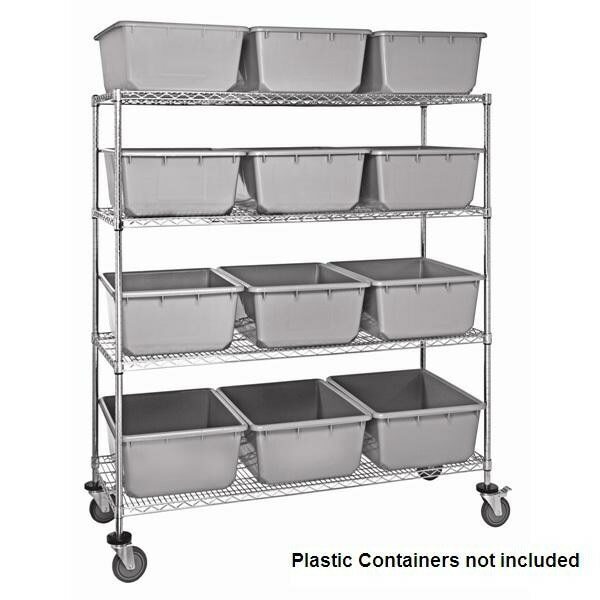 Shelving Direct Mobile NSF approved Chrome Wire Shelving Carts and accessories add versatility and flexibility to any distribution operation, creating a transport system. There are several reasons why Chrome Wire Shelving Units are the perfect storage solution for industrial, pharmaceutical, health care, food service and retail markets. They increase product visibility on the shelves, improving your control over the stock. They improve product ventilation, critical on humid environments. They improve sprinkler penetration, reducing cost of insurance. They also reduce dust accumulation on the shelves. The nickel-chrome finish is durable and chip resistant so very attractive for retail display. 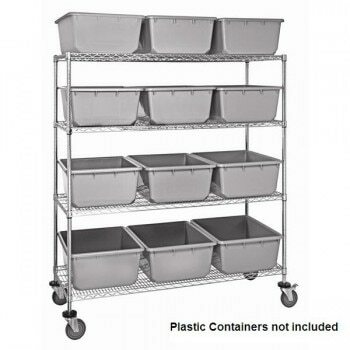 All welded shelf construction to support up to 1,200 lbs per Chrome Wire Shelving Cart. Top mat shelf wires run front to back for easy loading & unloading. Easy to adjust shelves in 1" increments. No tools are required for installation. Chrome Wire Shelving Starter Units include 4 Vertical Posts, 4 Wire Shelves with Plastic Inserts, 4 Donut Bumpers & 4 high capacity Polyurethane Casters, 2 of them with brakes.